Oklahoma Connection | Rainbolt was born and raised in Norman, Oklahoma. Gene Rainbolt was selected as the one of the “50 Most Powerful Oklahomans” in 2006 and was named an Oklahoma City/County Historical Society “Pathmaker” in 2004. In 1962 Gene Rainbolt acquired his first bank, the First American Bank in Purcell. 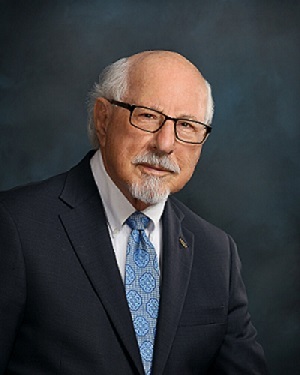 In 1965 he acquired Federal National Bank in Shawnee, and in 1967 he and a group of investors commenced acquiring banks in Oklahoma, which led in 1985 to the formation of United Community Corporation, the State’s first multi-bank holding company. In 1989 BancFirst was founded, which is now the largest state-chartered bank in Oklahoma with assets of $7.3 billion and offices in 59 communities in Oklahoma. Mr. Rainbolt is a graduate of the University of Oklahoma with both undergraduate and graduate degrees. His alma mater has honored him on multiple occasions, including the Distinguished Service Award and an Honorary Doctorate. In 1999 he was inducted into the Oklahoma Hall of Fame and has received Honorary Doctorates from Oklahoma Baptist University, Oklahoma City University, and Oklahoma Christian University. A strong advocate of improving and diversifying the Oklahoma economy, Mr. Rainbolt has worked long and hard to improve health, education, provide better access to capital, and develop Oklahoma’s infrastructure system. He has served in numerous civic, economic development, chamber of commerce, youth, medical, zoological, arts and banking organizations. One of his most recent projects is enhancing the entrepreneurial classes and entrepreneurial activities at universities in Oklahoma. Mr. Rainbolt has served as President of the Oklahoma Bankers Association and Chairman of the Academy for State Goals and the Oklahoma State Chamber of Commerce, former director of Leadership Oklahoma and the Great Expectations Foundation. He was a founding director of Calm Waters and has served on many other charitable boards. Mr. Rainbolt is a member of the Leadership Council of the Charles and Peggy Stephenson Oklahoma Cancer Center and recently served on the Board of Visitors of M.D. Anderson Foundation. Mr. Rainbolt and his family are committed supporters of the University of Oklahoma, the University of Oklahoma Health Sciences Center, and Oklahoma Medical Research Foundation. If there is a single driving ambition and philosophy in the life of Gene Rainbolt, it is the establishment of an Oklahoma in which every child has the opportunity to become all he or she can be. Mr. Rainbolt and his late wife, Jeannine, have two children, seven grandchildren, and two great-grandchildren, which he considers the be the highlight of his life.